Size: Size: 17.75 x 17.25 in. 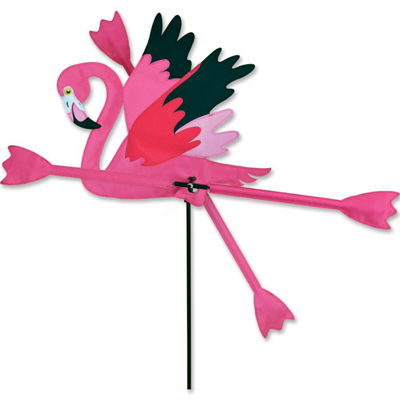 Our WhirliGigs authentically capture all the fun and movement of this traditional American wind decoration. Proven to spin in lighter breezes, the durable SunTex(TM) fabric wings work much better than metal or wooden devices and liven up any yard or garden. All come complete with an oversized ground stake for easy installation. Size: 17.75 x 17.25 in.